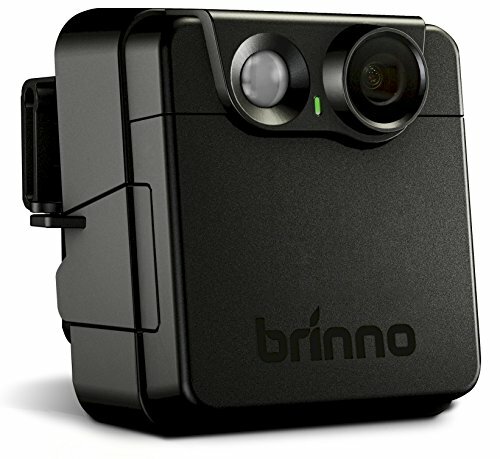 The Brinno MAC200DN is a battery powered portable security camera triggered by one of three modes: Time Lapse Mode, Motion Mode or Hybrid Mode. In time lapse mode you can record at a distance of up to 320 feet using a 1 frame per second fixed capture rate. In motion mode, when the PIR motion sensor is triggered by any movement in a 20-foot zone, the camera captures 2-3 images per second for 5 seconds. Hybrid mode consists of time lapse plus motion detection. In hybrid mode the camera switches from 1 frame per second time lapse mode to motion mode (2-3 images per second for 5 seconds) when a moving object enters the 20 foot motion zone. Smart Night Vision: Set your latitude using the 1.44 inch rear LCD screen and the camera will automatically turn on night vision at sunset and turn off night vision at sunrise, so the camera can capture infrared images at night and capture regular images in daylight. The MAC200DN auto converts photos into a fast playback 720p (1280x 720) time lapse video, letting you review a whole day's activities in minutes. Images are captured on an SD card up to 32GB (sold separately). One set of 2 D-cell batteries (not included) lasts around 14 months. Package contents: Motion Activated Camera (MAC200DN), wall mount bracket, elastic strap, tree strap, user's manual.